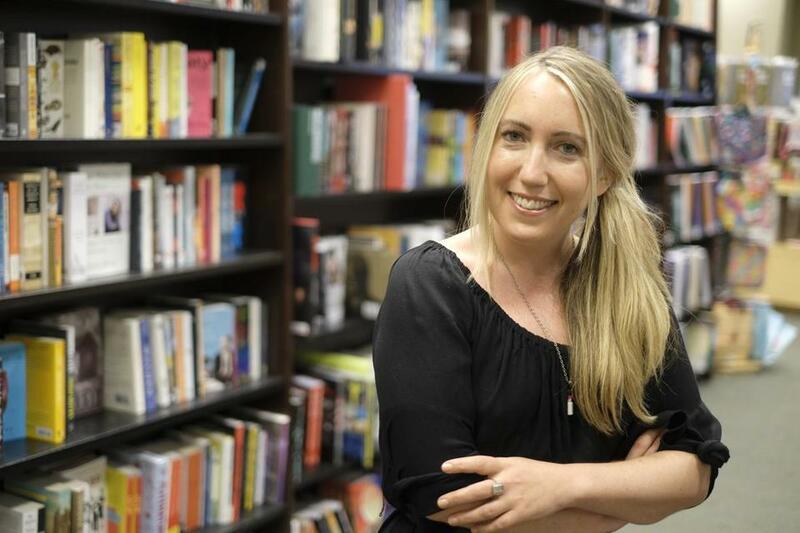 Caroline Kepnes released her newest book, “Providence,” in June and visited Warwick, R.I., the following month to promote it. Kepnes had long been fascinated with the series about a minister and his family because it was so pure. Too pure. Kepnes — who was working as an entertainment reporter when she wrote the script — sent her draft to an executive on the show; it was accepted and aired in 2006. The episode was shiny and in line with the rest of the series, but to Kepnes, that made it dark. That bright and creepy tone has evolved into what’s become Kepnes’s trademark and has earned her storytelling an international fandom. It also earned her attention from some of the most prolific producers in television, who are bringing her first novel, the 2014 thriller “YOU,” to television next week. The show premieres on Lifetime Sept. 9. “YOU” follows a charming and seemingly lovely bookstore employee, Joe, who becomes obsessed with a customer, Beck. He begins to stalk her around New York City until he’s controlling her life. In June, she released “Providence,” a genre-blending story that follows two friends in the aftermath of a kidnapping. It takes place around New England and was the first novel published under Lenny, Lena Dunham and Jenni Konner’s imprint at Random House. The series blends elements of “Gone Girl,” “Gossip Girl,” and “The Fall,” and was created by Sera Gamble (“The Magicians” and “Supernatural”) and Greg Berlanti (“Supergirl,” “The Flash,” and “Riverdale”). The show has already been picked up for a second season. For Kepnes, 41, the success has been a dream. It also means that she gets to keep writing. Kepnes took a risk after graduation by rejecting a job at a law firm and moving to New York, where she and found a temp position in the mammalogy department at the Museum of Natural History. She was also writing on the side, short stories and whatever she could. In that job, she watched pop culture trends, and it was a first look at an industry that was squeaky clean, yet kind of creepy. Her next job was writing for Entertainment Weekly, and then, after a year at home writing a biography of author and poet Stephen Crane for a children’s publisher, she moved to Los Angeles where she landed a job at E!. Kepnes said it was another job that had her thinking about what lies beneath. The job eventually resulted in her own column — she became the “Reel Girl,” and covered movies and TV. It wasn’t until she moved home that she began to focus on her first novel, “YOU.” It started with a series of tragedies. Kepnes’s father died in 2013, and then, months later, she had her own health problems. She needed emergency throat surgery. It took a while for her to be able to speak again. Then there were issues with insurance. She found out she was the victim of identity theft. What came out, after Kepnes was back in Los Angeles freelancing for Yahoo! TV, was a very dark tale of a man who seems perfect on the outside but is a terror on the inside. It was alive in her brain, so much so that her character Joe Goldberg began to seem real. “YOU” showrunner Gamble said the tale works because its horror is universal. Kepnes’s next projects include a pilot she’s writing for Warner Bros. and another book. She can only say it takes place in scenic, sweet Concord — and that it will be just creepy enough.